Don't get your hopes up for that $24.99 price point, Logan; Bluefin will probably offer these at at least $60 a figure, if not more. These are about $60 in Japan, so we should expect the price to be comparable state-side, if not a little more, because they'll be coming from the same factory. Bluefin will still want to profit from these, but will want to make it less than the cost of importing from Japan; they can accomplish that goal at any price point between $60 to around $100. I received mine via EMS from AmiAmi today, and it's pretty nice, but it doesn't stand-up very well; unlike the "classic" Rockman from X-Plus: the legs of Rockman X are cast along with the body as one piece, and unfortunately cannot be rotated/positioned for better balance. No doubt the $24.99 is a little unrealistic, but I recall a time in the not too distant past, where action figures were $4.99. It's just a crazy state that the world is in at this point. All the folks who grew up wanting the $4.99 toys now have disposable incomes and can spend $100's or more on merchandise of their favorite characters, companies know this, and are charging whatever the heck they want to charge. Maybe it's always been this way, and I'm just now realizing it. It's a good likeness and a large figure, but the pose isn't exactly winning me over. Something on this scale should have an eye-catching pose, particularly if it's going to be displayed. The arms can rotate, so the pose depicted here is not the actual pose for which the figure was sculpted. I'm not sure why they moved the arms into such a pose for this photo; maybe the arms just started falling at different rates. The figures are very well done and worth the price of $80-100.00 I bought them as well. They are already sold out on some of the online stores. 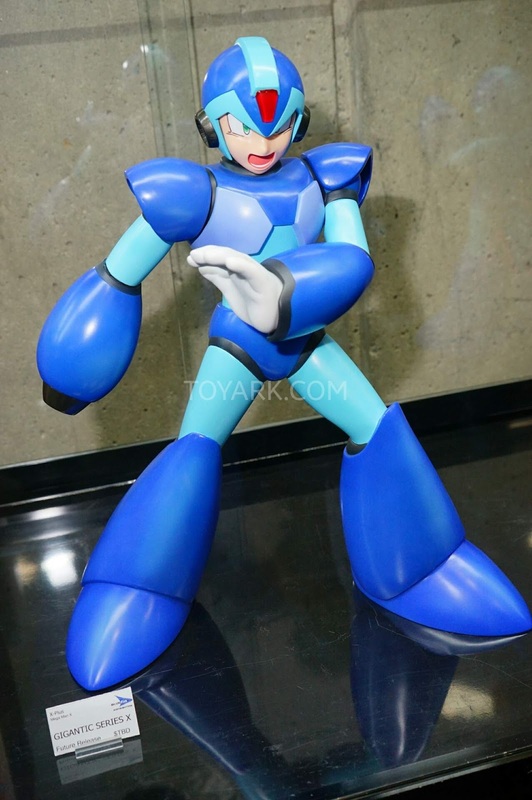 I know the Classic Mega Man was on AmiAmi for a while. Classic Rockman is currently available on AmiAmi, and was even on sale when I checked yesterday.